The Norstar Meridian Compact Plus Telephone System has been built to meet the existing telephony requirements of small businesses, and equip them for the additional step up into new technology. The Norstar Meridian Compact Plus Telephone System is a simple solution which accommodates future growth, both in number of lines and the technology available to users. 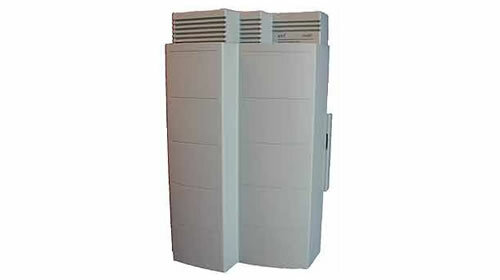 The Norstar Meridian Compact Plus Telephone System differs from the original Meridian Norstar Compact Telephone System in that it has two slots for the installation of either 4 port analogue trunk cards or 8 Channel BRI Cards, which are switchable between ISDN2 lines and SO Bus extensions. A clock card is required when installing a BRI card. The Norstar Meridian Compact Plus Telephone System can provide ISDN2 Connection through to the desktop and also has an in-built Analogue Terminal Adaptor (ATA) within the Telephone System. This provides an analogue extension port for the connection of a two wire device such as a fax machine.